Face Up 21, also known as Double Exposure or Dealer Disclosure, is a version of blackjack where both the dealer and player’s cards are dealt face-up, giving players double the information to play out their hands. The conventions of Face Up 21 change our strategy dramatically; card counting and hole-card guessing are no longer factors to worry about: if you don’t like what you see, play accordingly. Naturally, this variant introduces other rule changes to compensate for the tactical shake-up and favour the dealer. 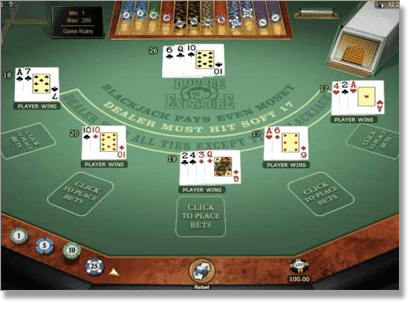 As such, the house edge is greater than conventional blackjack, but if you happen to find Face Up 21 at your chosen casino, you can come out of a game with a good return should you adjust your strategy and play properly. Face Up 21’s objective remains the same as blackjack: beat the dealer, and get as close to 21 as possible, without exceeding that number. But the game is played with all cards face up. The major difference is as simple as that. Because our cards and the dealer’s cards are exposed, we are no longer playing blind against one of the dealer’s cards, nor do we have to guess what their second card will be. We know exactly what we need to win. Naturally, this major advantage is offset considerably by several house rules which favour the dealer. For instance, the payouts are much lower than in traditional 21: our blackjack is no longer paid out with the normal 3 to 2 odds and instead holds a payout of 1 to 1, so the casino can maintain a better house edge (for them). Having both parties cards exposed also places increased pressure on our part. Say we have a hard hand of 18; we wouldn’t normally hit, but because we can see the dealer has a strong 20, we have to hit in order to have any chance of winning. Surrendering, which is made available, where we can opt to give up half of our bet and save the other, may seem like the more viable option in scenarios like these; however, if it is done too much, significant losses can build up. 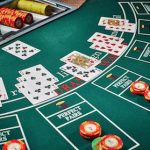 In order to understand how Face Up 21 works, we need to brush up on the basic premise of traditional blackjack, as well as understand the key rule differences between the two types of games. Our cards and the dealer’s cards are always dealt face up/exposed. Blackjack payout is fixed at 1 to 1 odds, instead of the usual 3 to 2. Dealer wins all ties, except if we have a two-card natural blackjack. We may only double down on a hand of nine, 10 or 11. A winning insurance bet, when offered, pays out at 2 to 1 odds. Face Up 21 is usually played from a eight deck shoe, but six decks are sometimes used. Some online casinos allow us to split our hand more than once. Player may split more than once. 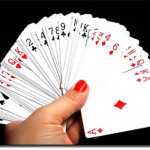 Face Up 21 holds a slightly higher house edge than the traditional game, and a lower payout for obtaining blackjack, to further offset the considerable advantage we have in being able to see the dealer’s cards. Assuming we follow basic strategy and optimal play, and the game only follows its fixed rules, the house edge of Face Up 21 is around 0.85%. The standardised house edge of Face Up 21 will change depending on the rule variations of the individual game. If six decks are used, the house edge increases by 0.64%. If eight decks are used, the house edge increases by 0.65%. If the dealer hits on a soft 17 rather than stands, the house edge increases by 0.40%. If the dealer only lets you double down with a hand total of nine, 10 or 11 (rather than on any two cards), the casino edge increases to 0.25%. Face Up 21 is a fun alternative to standard blackjack; it forces us to rethink our strategy, while we can enjoy its double exposure advantage. Due to the fact we play our hand based on what we see in front of us, the game allows for more control over our decision-making. Face Up 21 also grants us the freedom to surrender our hand, should we find the dealer has a two-card natural or other unbeatable combination. However, the pressure gained from all parties able to see our cards can be a deterrent for some players. The frustration that can come from being dealt 20, and to have the dealer be dealt 20 too (a player loss), can be draining. This variation does however provide us with a different taste and is a worthwhile alternative to traditional blackjack. Just keep in mind the subtle rule changes which favour the dealer to offset the allure of the double exposure rule.